Actually, if life gives you lemons, you are in luck because they are not only versatile, they’re really healthy, too. That’s because they contain a lot of vitamins and minerals which act in the body in a similar way as alkaline water. Everyone knows that lemons, like all citrus fruits, are high in vitamin C, which helps boost the body’s immune system. Lemons are also rich in calcium, potassium, and magnesium, and carotenoids. Carotenoids Definition: The compound that gives lemons their yellow color. They are beneficial to eye health. Yet, it doesn’t stop there! Here are 3 more things you might not know about lemons and alkaline water. Although lemon juice is acidic, when it is processed by the body the result is an alkaline effect. Adding lemon juice to your water can be a great way to increase its pH to alkalinity. 2. The Oil of the Skin isn’t Sour, it’s Sweet! We think of a lemon as a sour, acidic fruit, but that is really only the juice. The skin is quite sweet. This is the reason why bartenders add lemon peels to cocktails and why pastry chefs often use lemon zest in dessert recipes. The essential oil in lemon skin adds sweetness to drinks and cakes and makes them smell delicious. But, remember: Drink in moderation and enjoy alcohol with alkaline water to prevent dehydration! 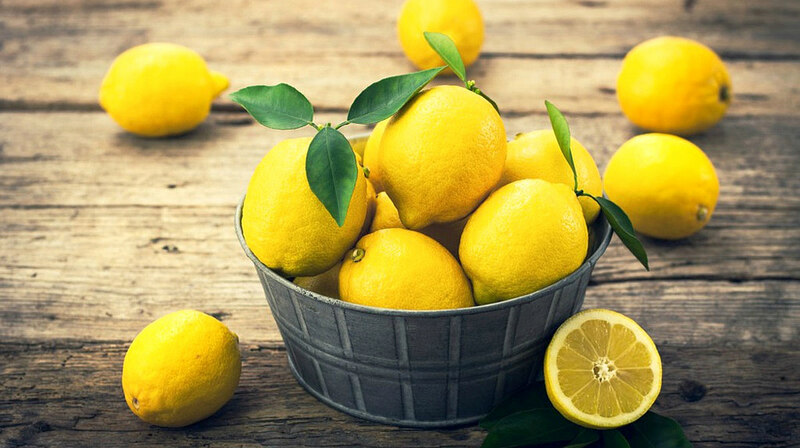 Lemons house a high concentration of natural chemicals known as limonoids which are present in all citrus fruits. Limonoids are antioxidants that are currently the object of much attention in the medical field. Researchers are also excited by the prospect of limonoids being used to fight cancer and lower cholesterol. These citrusy fruits have already been widely used in skincare and cosmetics. That’s thanks to its concentration of antioxidants. It fights off free radicals, preventing the skin from oxidizing and prematurely aging. Toss them all into a blender. Blend on high speed, and voila! You’ve got your alkaline lemonade to fuel you and keep you hydrated. Lemons are amazingly healthy little fruits that only get better when mixed with alkaline water and you don’t have to limit yourself to eating them raw. To maximize the health benefits of lemons in your life, a Tyent water ionizer is a necessity. So, when life gives you lemons, mix them with Tyent alkaline water! What other health benefits of mixing a lemon and alkaline water do you know? Share your thoughts in the comments section below! Editor’s Note: This post was originally published on May 14, 2016, and has updated for quality and relevancy. ← 12 Top Ways to Use Your Tyent Water Ionizer This Season!